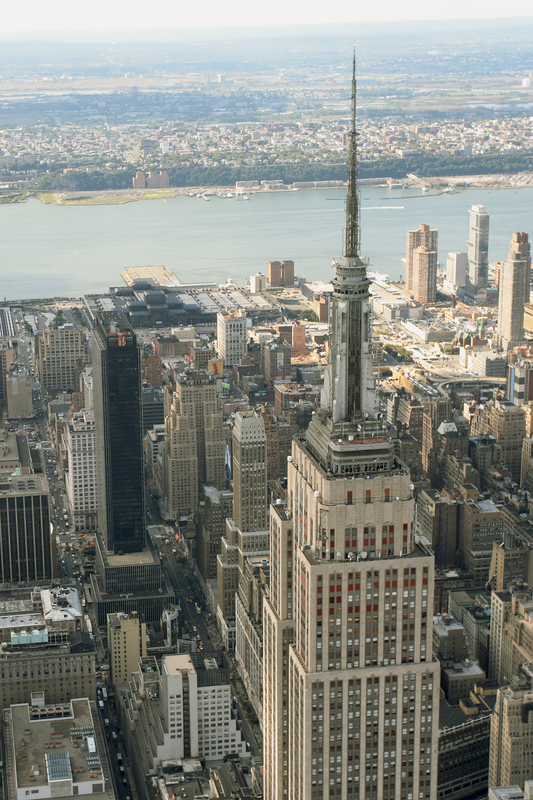 As part of a massive greening of the Empire State Building a new Heat Mirror® film technology by Southwall is being used to dramatically boost the energy-efficiency of the landmark building’s more than 6,500 hundred windows. The insulating film will be combined with an insulating gas to create “super windows” that reduce heating and cooling needs and therefore decrease the building’s overall energy use. New technology will be used to “remanufacture” the thousands of windows. The existing insulating glass in the building will be removed from the frames and reused by suspending Heat Mirror film between the two panes to create a pair of super insulating cavities that increase the thermal performance by up to four times, improving the R-value from R-2 to R-8 while also reducing the solar heat gain by 50%. The beauty of the solution is that it requires no new windows and doesn’t call for the trashing of the old windows. The savings—both financial and environmental— are equally impressive. The upgraded windows are expected to deliver over $400,000 in savings per year. The window upgrade is one part of an integrated project that is expected to reduce energy use by 38%, save $4.4 million per year in energy costs, and save a minimum of 105,000 metric tons of carbon dioxide over the next 15 years. Johnson Controls is overseeing the full retrofit project with a team of energy efficiency experts including the Clinton Climate Initiative, Jones Lang LaSalle, and Rocky Mountain Institute.